FOXBOROUGH, Mass. 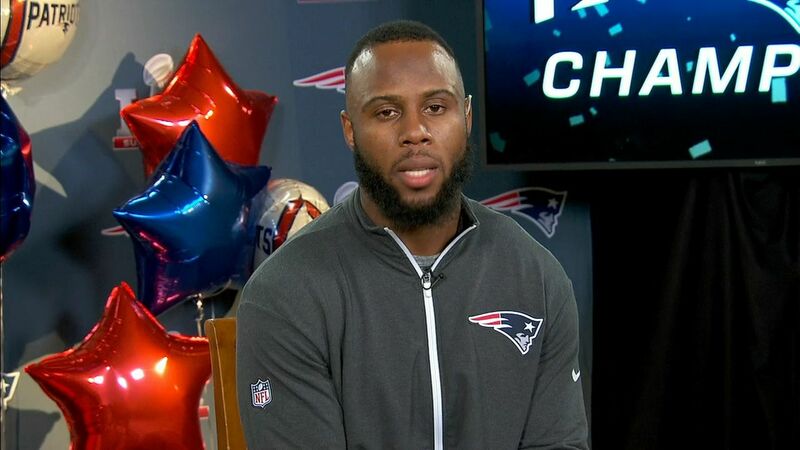 -- New England Patriots running back James White said he forgot to keep the football that he scored the game-winning touchdown with in Super Bowl LI, but luckily for him, an equipment assistant scooped it up, according to a team spokesman. The Patriots are now displaying the football at their Hall of Fame. On ESPN Radio's Mike & Mike show the day after Super Bowl LI, White said he forgot to keep the football. In a separate interview on "The Dan Patrick Show" the following day, White said he was hopeful that an equipment manager picked it up. White's remarks came in the wake of uncertainty over the whereabouts of quarterbackTom Brady's game jersey, which led some to assume that perhaps the football was also missing. "I wasn't thinking in that moment," White said. "I was too busy sprinting down the field." But a team spokesman explained that an equipment assistant retrieved the football at the time of the touchdown, as would be normal protocol. The football could ultimately be given to White as a keepsake, but for now it is being shared with the team's fans. Brady's jersey still has yet to be found. "It's very sad to me that someone would do something like this," Patriots owner Robert Kraft told the Fox Business Network on Monday of Brady's jersey. "It's like taking a great Chagall or Picasso or something. You can never display it. And somehow, I feel there'll be some news that'll clear this up in the not-too-distant future." Patriots RB James White reflects on his Super Bowl-winning touchdown in overtime.